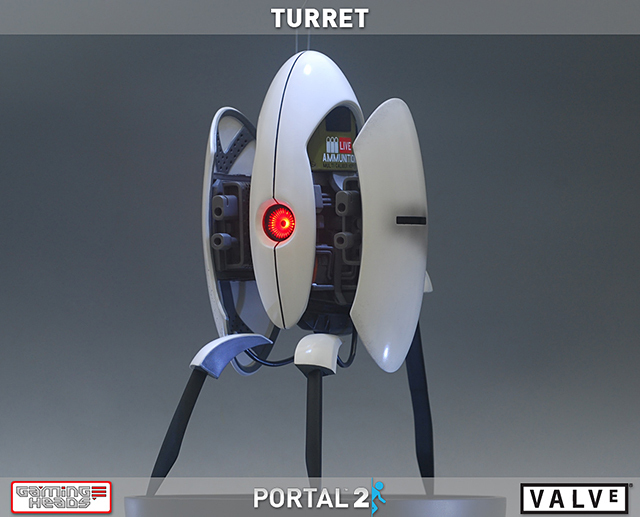 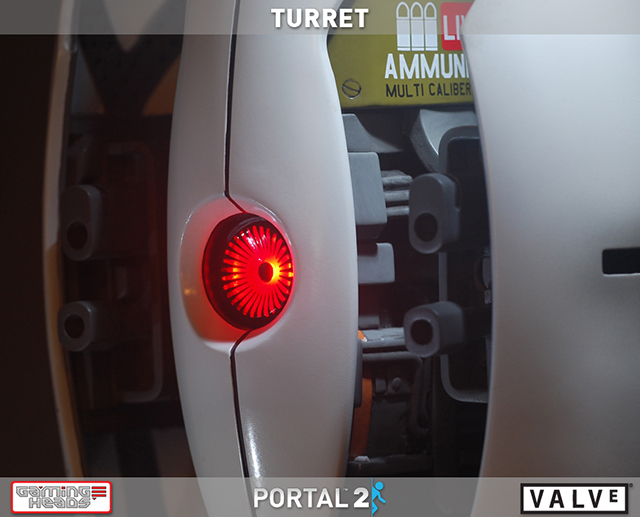 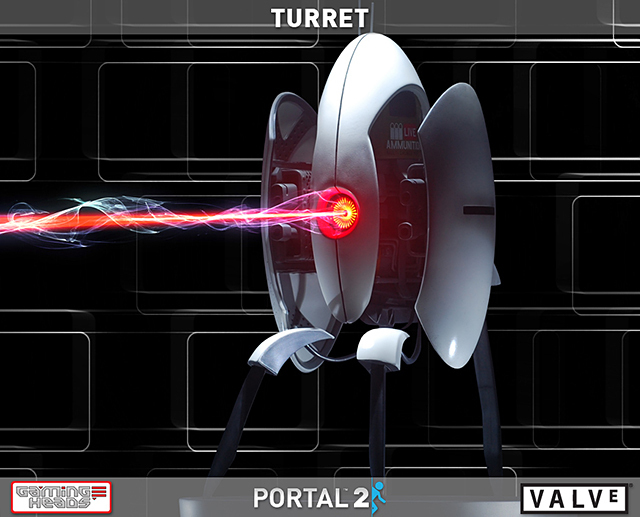 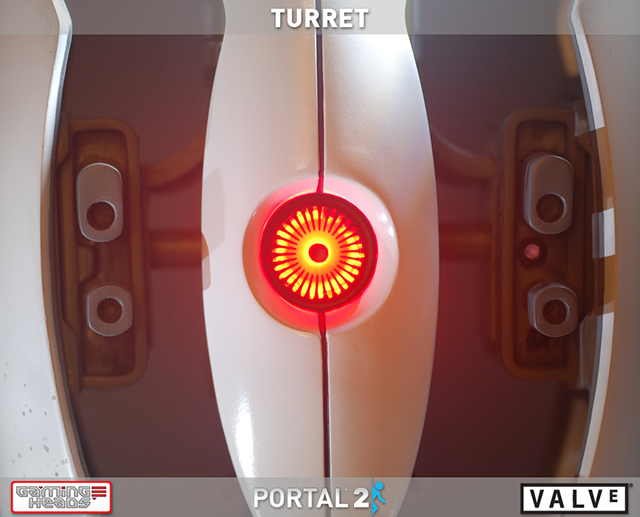 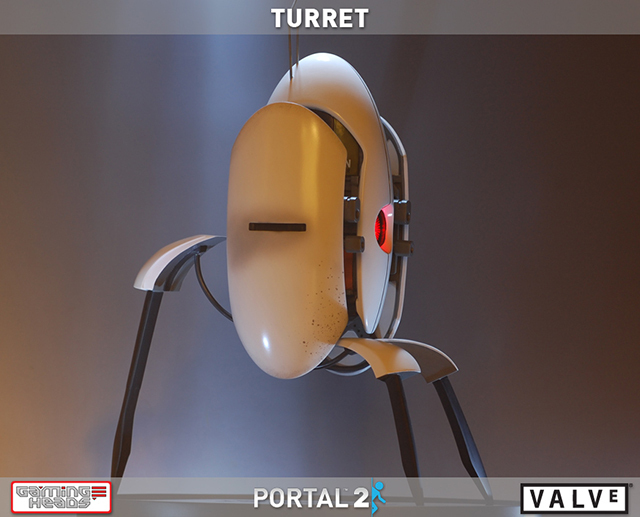 A limited-edition 16″ tall statue of the Aperture Sentry turret. 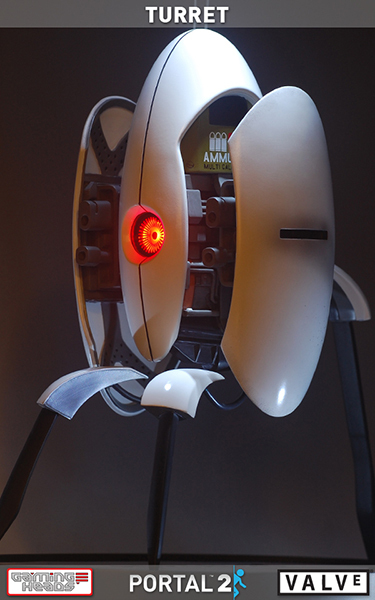 It’s cast in poly-stone, hand-finished and hand-painted. 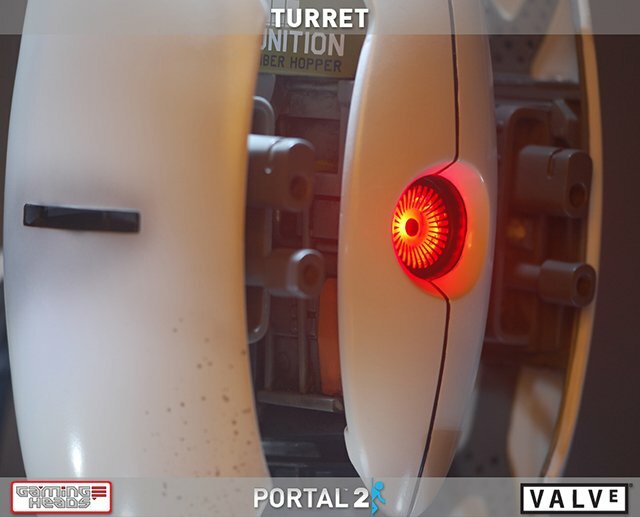 Plays sound bites from the game, has a light-up eye, and it doesn’t hate you.